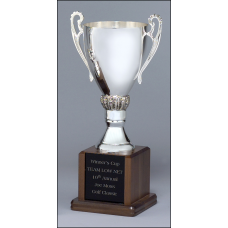 345C Silver-plated trophy cups on solid walnut bases. 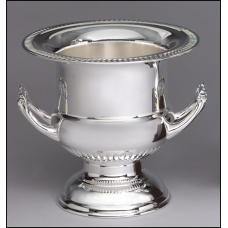 399C Silver plated brass wine cooler on solid walnut base. 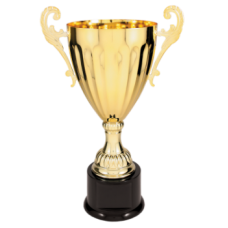 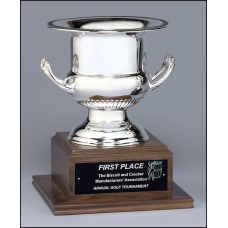 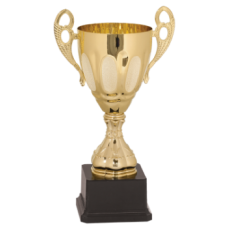 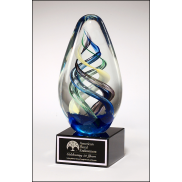 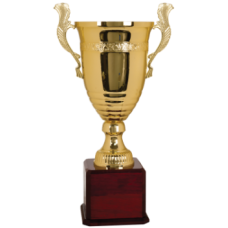 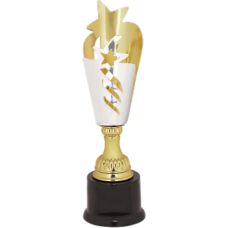 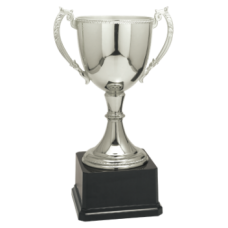 CMC701G Gold Metal Cup Trophy 11"